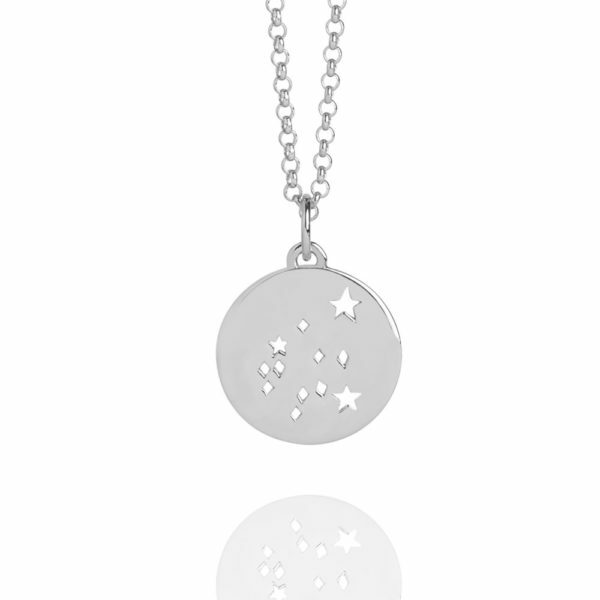 This Aquarius Star Sign necklace features a beautifully cut out star design symbolic of the Aquarius Constellation. Wear in celebration, and as a reminder, of your own uniqueness. 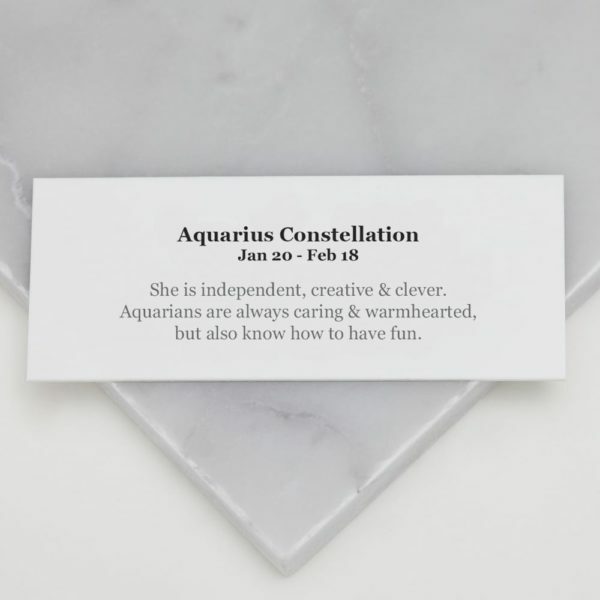 This pendant includes a card that describes the personality of an Aquarius, complete with a luxury branded gift box. FREE UK DELIVERY. Sold by Muru. 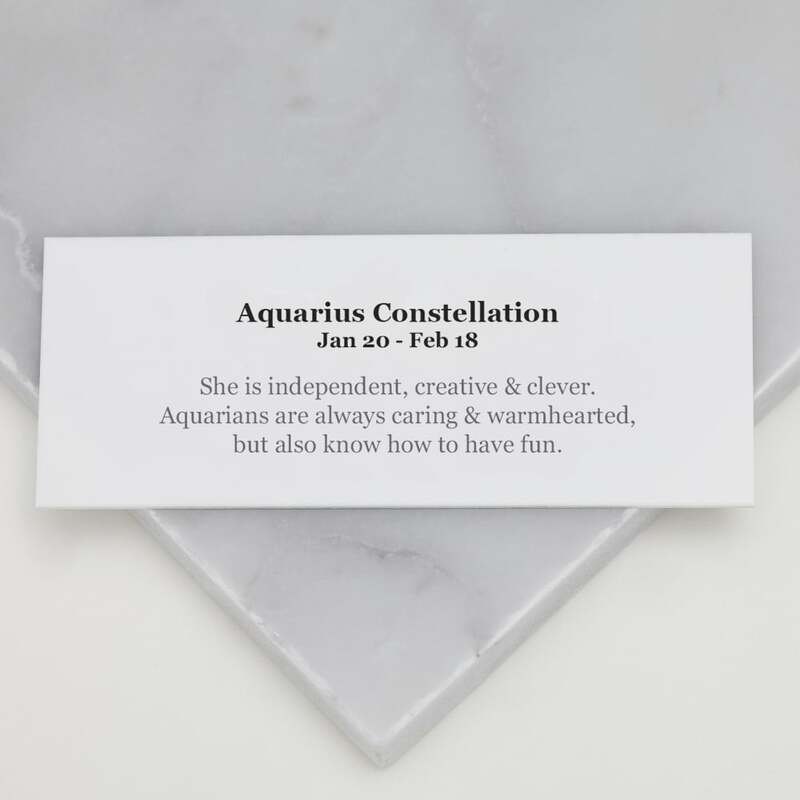 Muru brings you empowering and inspiring jewellery with meaning. 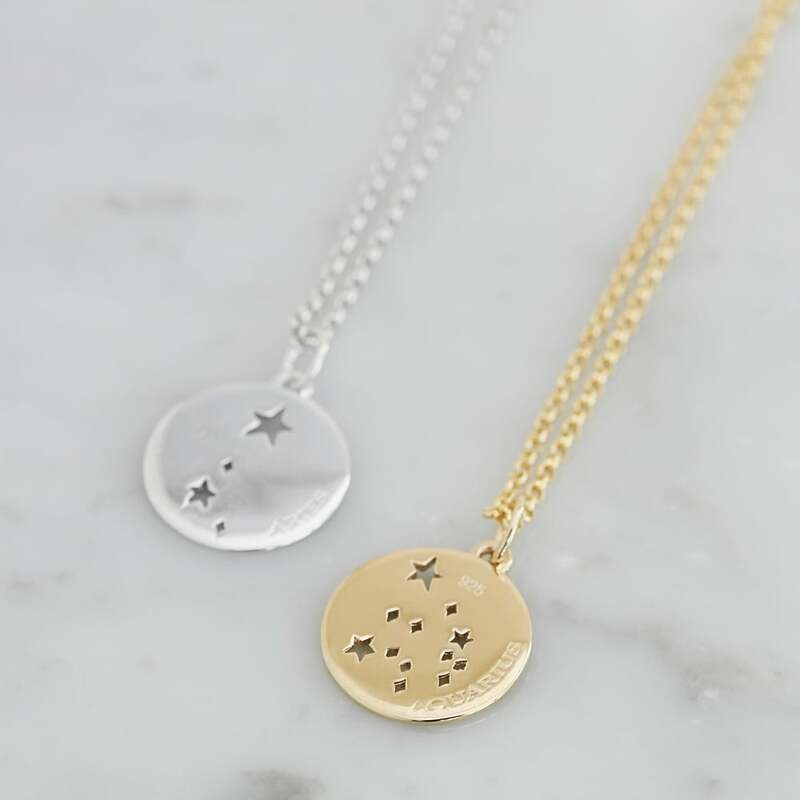 Founded in 2006, Muru has been creating feel-good jewellery for over 10 years. Each meaningful piece is lovingly designed at their studio in Islington, London. 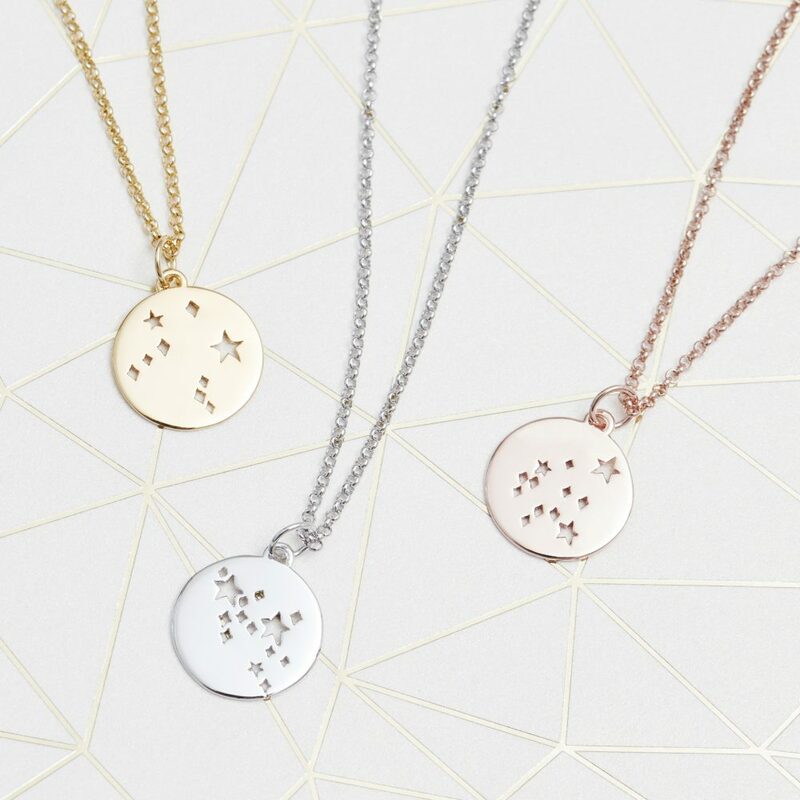 Muru combines British culture with ideas and mythologies from around the globe to create irresistibly sentimental and wearable jewellery. Their pieces have been worn by many inspirational women such as Jourdan Dunn, Laura Whitmore, Zooey Deschanel and Zoella. 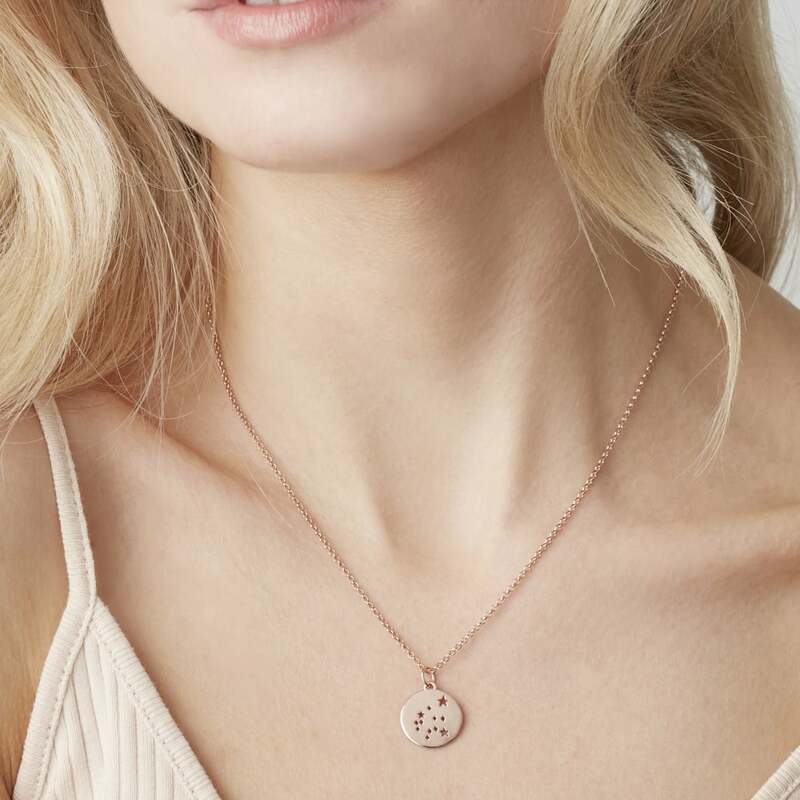 All of their jewellery is hand-made in sterling silver or gold vermeil and is designed to inspire positivity, happiness and wellbeing… each piece makes a unique and personal gift so keep spreading the love! The warranty on all Muru pieces is 12 months with proof of purchase. FREE STANDARD DELIVERY on all UK Mainland orders (Royal Mail 48 Tracked) 2-3 days. Muru aim to dispatch orders within 48 business hours of the order being placed. All items are delivered by Royal Mail. Muru cannot be held liable for late delivery of goods caused by circumstances beyond their reasonable control. Muru shall attempt to deliver the goods to the address you specify for delivery, or if none, to the credit card address you supply. You are responsible for making arrangements to receive the goods and if the goods are held at the post office or other delivery company’s depot because no one was available when the goods were delivered then it is your responsibility to swiftly collect the goods. It is important that the addresses supplied by you are accurate. If you are not completely satisfied with your order you can return it within 28 days from the date of purchase. Please email [email protected] for refunds and exchanges. A prompt refund of the price of the goods will be issued once all the information referred to above is received. The credit card used for the original purchase will be credited with the original price. If there are any problems with your refund, you will be contacted. 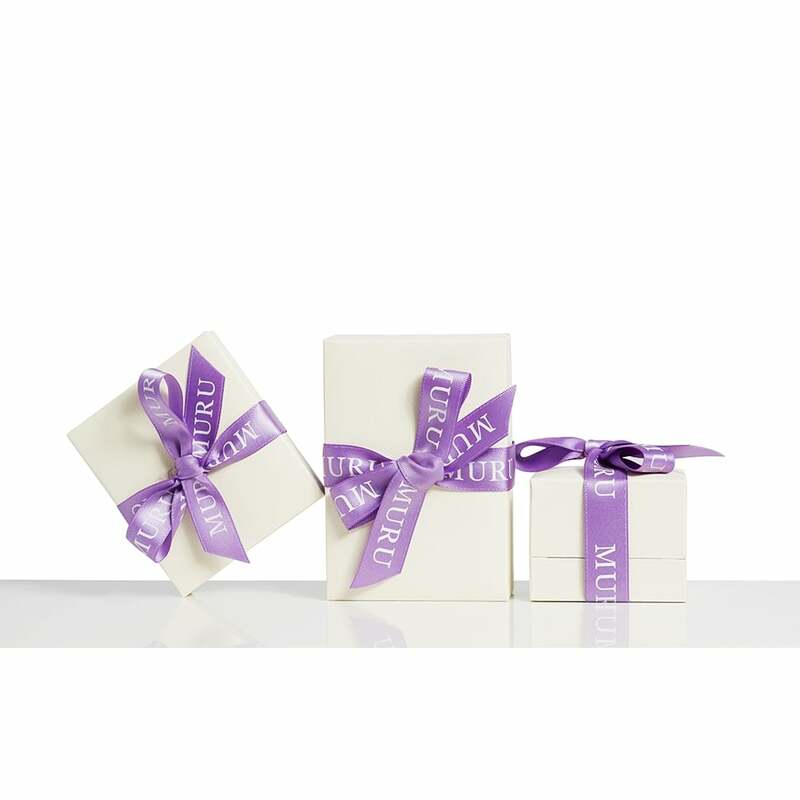 For all returns, except where the item is faulty or dispatched in error, you will be required to arrange and pay for the return of the products to Muru. When returning items you are strongly recommended to obtain proof of posting. Muru cannot accept responsibility for parcels lost in transit.